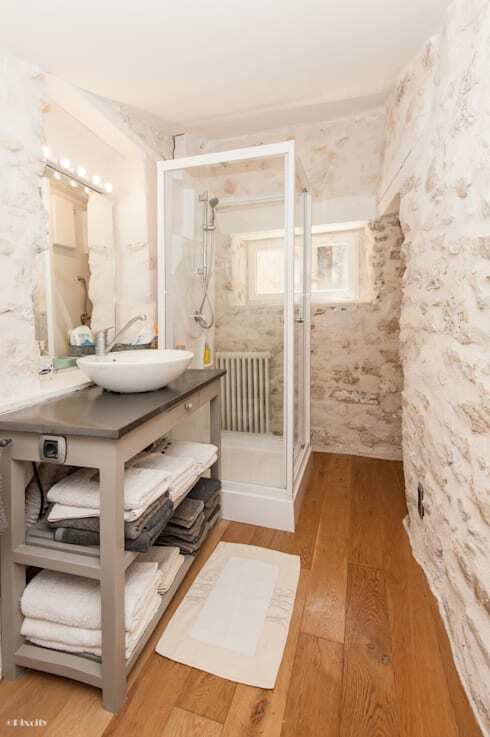 Small bathrooms need a very big focus when it comes to design and decor. We don't want to end up falling into the bad habits that often occur when it comes to narrow spaces. 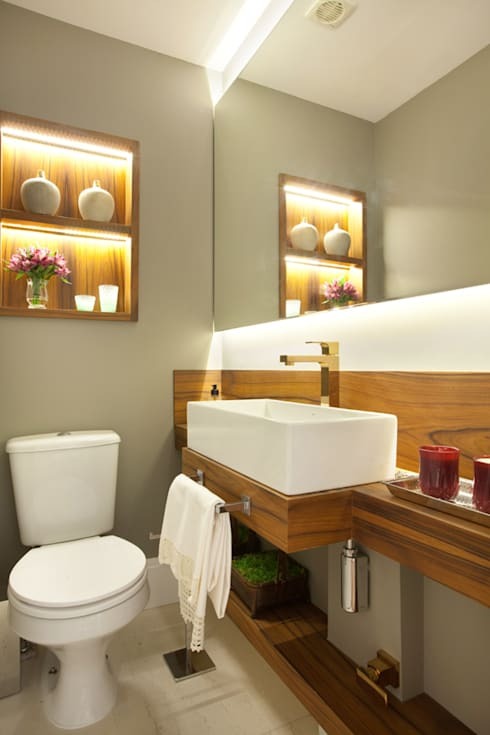 We want to create a tranquil and appealing bathroom that is functional as it is soothing. This is why today we have put together some helpful tips when it comes to designing or renovating a small bathroom. Apply them to your home and you'll immediately have a larger and more beautiful space for pampering yourself! Are you curious to see more? You don't want towels scattered around your bathroom or items cluttered randomly on the shelves or even on the floor of the bathroom. This should be a pristine and tranquil space, which is why it is a room that is even more sensitive to clutter than the other rooms in the house. If your bathroom is smaller, this is even more important. Clutter will create chaos, which is simply unacceptable. Use design professionals Burlanes Interiors idea and install a savvy towel rack on the wall, where towels can be neatly hung up. You should also have adequate shelves and cupboards where personal products can be stored neatly out of sight. Mirrors are necessary when it comes to creating the feeling of space (as well as seeing ourselves when we apply our make-up or brush our hair!). Use a mirror from floor to ceiling to create a bathroom that feels much bigger than it really is. 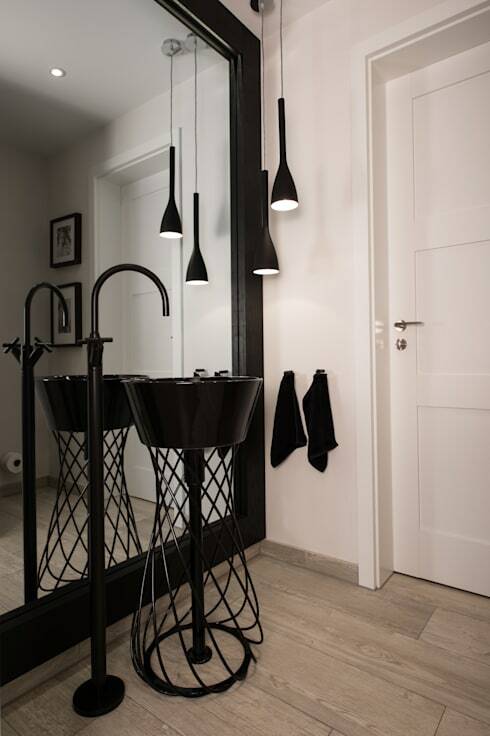 Lighting is very important in modern decor and even more so in small bathrooms. As we can see in this design, you can really have some fun with lighting by creating distinctive lighting in the wall cavities. 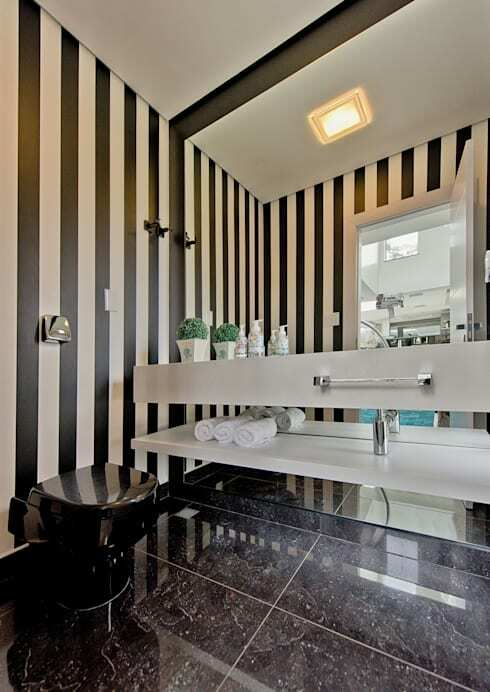 You can also put lights on both sides of the bathroom mirror. You'll feel like a star! Don't forget to add a small vase with some colourful flowers or green plants. This will inject the bathroom with some vitality and some positive energy. There is already such limited space! Avoid too much furniture in your bathroom. Use smaller pieces and only the most practical and functional. Also make sure that you have plenty of storage space. 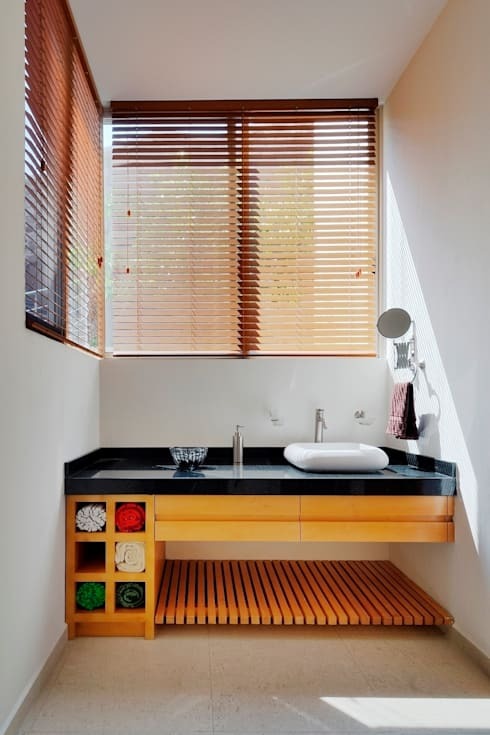 Have a look at these tips: Take Your Bathroom To The Next Level: 6 Storage Ideas. Organising your bathroom doesn't mean that you have to jam pack it with toilet paper and soap for the next 10 years. There is only so much that you can store! 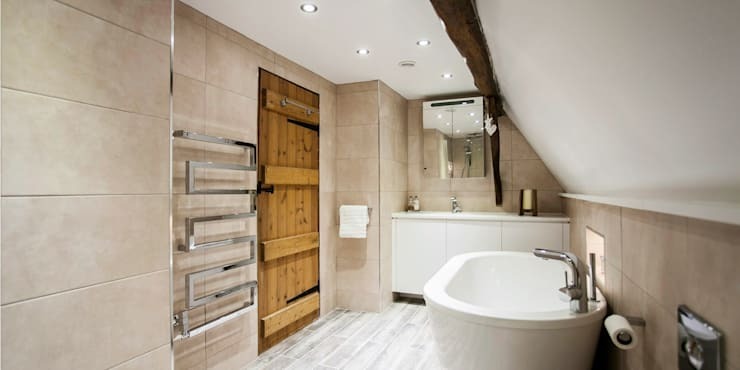 Contrary to what some believe, at homify we think that you should choose a small shower for a small bathroom. This makes for a functional and uncluttered space. Don't drown your bathroom in colours—a mistake that people often make. 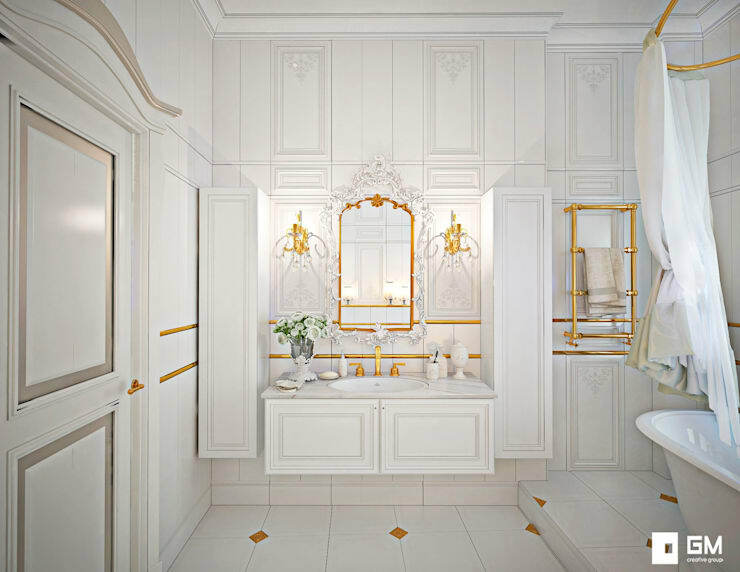 If your bathroom is small, it's better to adopt white tones that will make the area feel more spacious and bright. Don't forget to add a touch of charm or personality though! 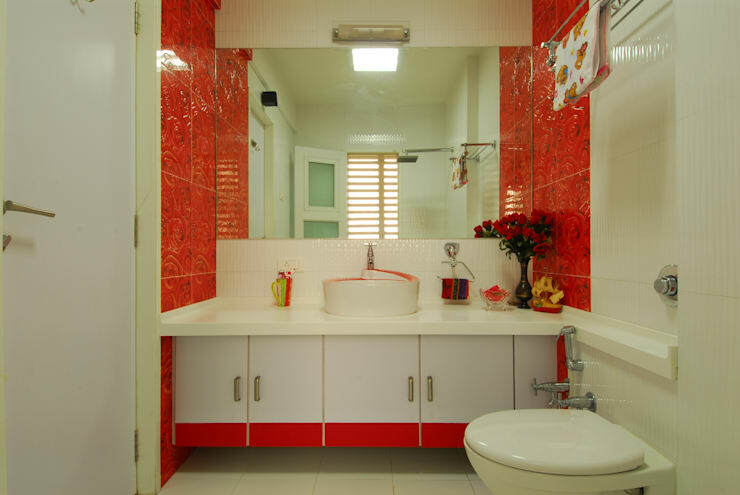 For those who aren't a big fan of white, why not blend it with some bold colours like Aum Architects have done here? Dark colours absorb light and vice versa so opt for light tones. While you can possibly get away with painting small bathroom walls a darker colour, stay away from dark ceilings. You don't want your bathroom to look like a cave! Stay away from too many items and instead go for a simple, minimalist look and feel. 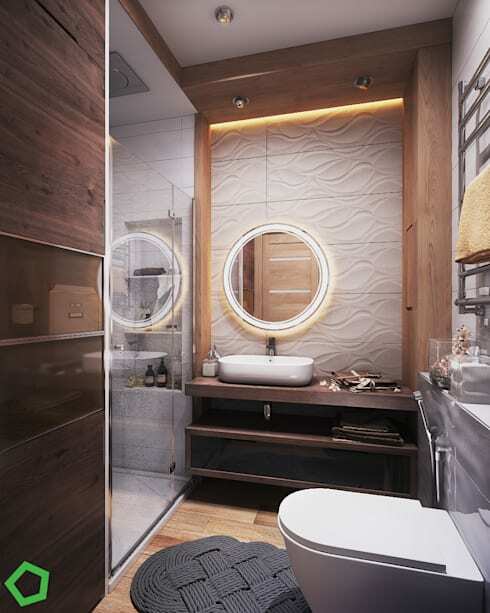 This is the most appropriate style for a small bathroom and will give it both functionality and sophistication. Don't be afraid to add a touch of warmth in the form of a wooden feature here or there. If you've enjoyed this article, you'll love these 14 small changes to spruce up your bathroom. 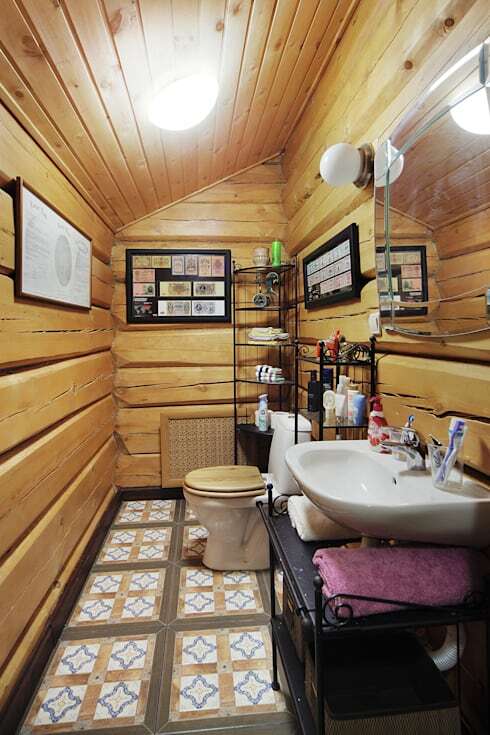 Which ideas would you implement in your bathroom?